A little French Kiss giveaway from Doodlebug! Happy Friday SCT friends! Thank you for joining us! We are wrapping up this very busy week with a special Valentine’s giveaway from our dear friends at Doodlebug Design! Their French Kiss collection is DARLING! Today’s prize package includes a 6×6 paper pad, enamel dots, mini icons and washi tape! For an opportunity to win this prize, be sure to leave us a comment below by February 14th and tell us what you love most about Valentine’s or Galentine’s Day! Good luck! Congratulations Karen! 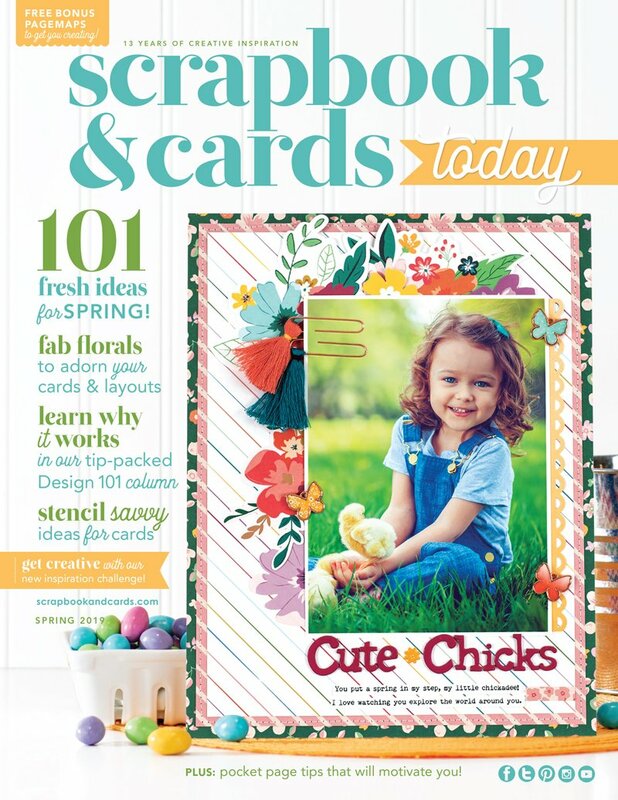 Please send your full mailing address and telephone number to us at ideas@scrapbookandcards.com. We look forward to sharing more Valentine’s inspiration right here next week! Have a wonderful weekend, SCT friends! I love making homemade Valentine’s Day cards and crafts with my three year old twins! French Kiss is soooo cute! Thanks for the chance to win! 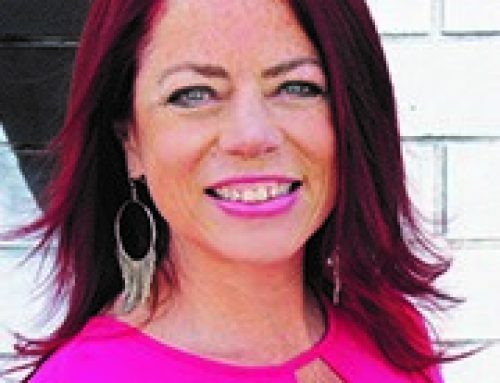 Congrats to Karen! Love the doodlebug collection lines. My fave valentines dates with my husband have been spent together quietly celebrating the many years we have been lucky to be together. I don’t celebrate Valentine’s Day myself, but i enjoy helping my girls make note cards for their classmates. This collection has a darling colour palette. Thanks for the chance. What a darling collection. Merci beaucoup. Doodleboug is my favorite and our granddaughters are in love wit all thing Paris, so this is perfect for my scrapping stories. when we were in grade school, my best friend’s birthday was on Feb. 14, so we always celebrated with her birthday party before we knew what Valentine’s Day really was. As we became high school teenagers, we had boyfriends of course so we always brought them to Bar’s party with us. Love was definitely blooming in the ’50’s!!! Love Valentine’s Day now as I send notes to “the girls” that we knew in our younger years, sadly, we have lost a few of our grade school friends as we are nearing 80, but the love of St. Valentine remains one of the memories of our lifetimes that we share!!! When life gets busy it’s that reminder to slow down and tell those close to you how much you love them. I love the color combo in the French Kiss collection! Thanks for the chance to win! What I like best about Valentines Day is making & giving Valentines cards to my friends & family. Nice collection! Valentine’s Day brings many memories when I used to help my daughters create boxes, cards, and fun treats. Now, I mostly make a card for my husband. Sometimes I still cook heart shaped cookies or muffins. I am actually going to Paris in April. Can not wait!!! Perfect timing for this generous and adorable giveaway!! Love the blues in this collection. Thanks for the chance to win. Such a lovely collection. Love the colors and designs! Wish I were anywhere instead of in Snowy, icy Michigan where we have no power. DB is my all time FAV company…and French Kiss is the cutest line! Valentines Day makes me feel like a kid again!!! We don’t celebrate Valentine’s Day that much. Maybe a card or something yummy, like a heart shaped cake. Oh such a cute paper pad. I’d love to win. My favorite part of Valentine’s Day is giving Valentine’s to my grandchildren and seeing their faces light up at the little gift. 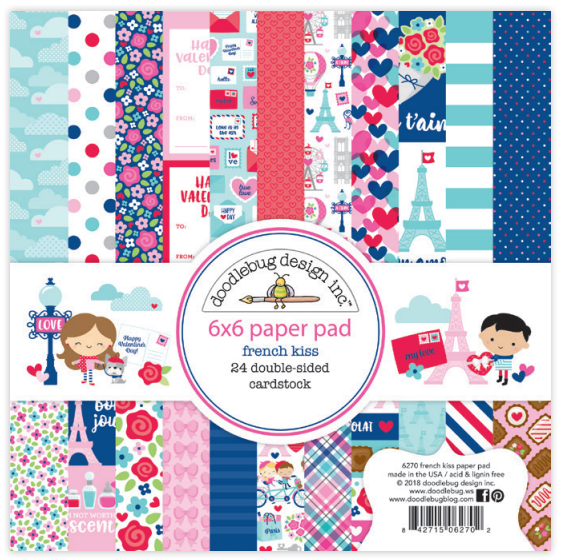 Paris is always a good idea … and so is Doodlebug’s latest addition of this beautiful paper pad. Thanks for a chance to win! I’m loving all the chocolate. What I like best about Valentine’s Day are the colors: pink and red and chocolate! I just love Paris, and this collection is just right for an album I’m planning! What I love most about Valentine’s Day is making cards for my grandchildren and other little friends! Any holiday with chocolate as the main gift is a holiday good enough for me. Haha! I love making cute, and funny Valentine’s day cards with (and for) the grandkids. I love that there is a day dedicated to love!! Chocolates of course. The new Ghiardelli Creme Brule ones are beyond perfection. This is the cutest set! I love chocolate covered strawberries for Valentine’s Day!! oh, oh, oh…… That paper pack is amazing. I love making little Valentine prizes for everyone in my world. That’s a lot, plus Grands, and Mother and Hubby and those that bless my grands at school including office staff. Well, you get the picture. Love FRENCH KISS! 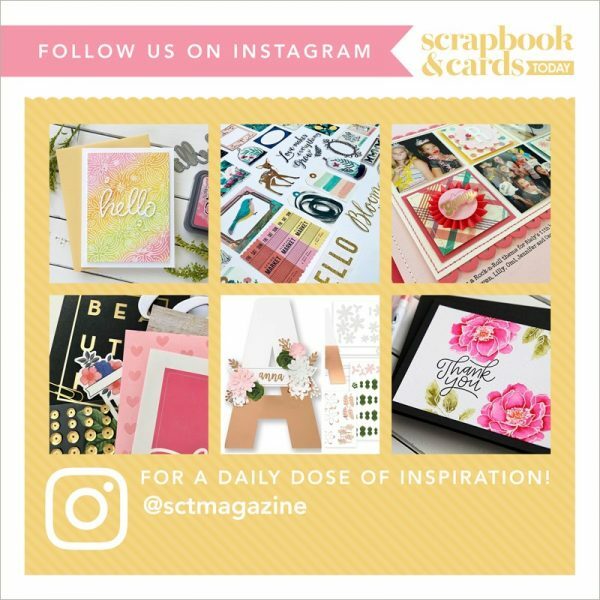 Hi, was the winner for the Crate paper giveaway announced from January? Hubby usually cooks me dinner…who am I kidding, he always cooks me dinner! He also gets me my favorite colored roses. But, he treats me well all year long which is even better. Super cute collection – I love to make valentine’s day tags for my kids school class. 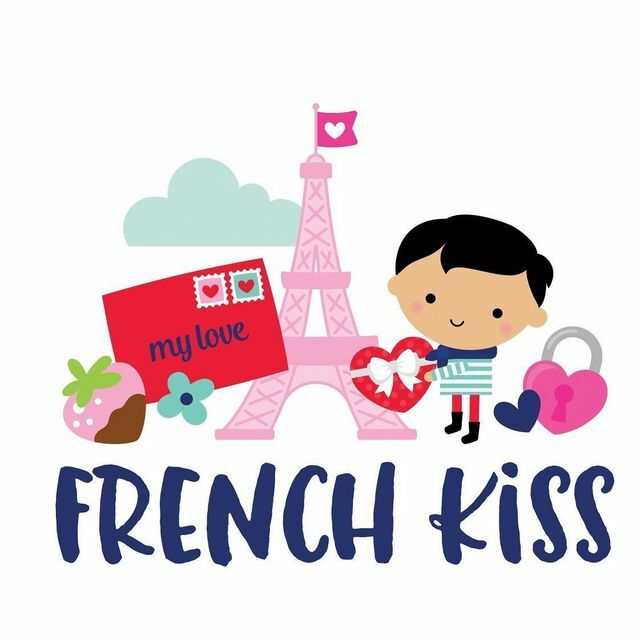 This french kiss pack is so adorable! This Valentine’s I look forward to crafting and enjoying a galentine’s afternoon tea with the ladies. Nothing like tea, sweets, and treats to celebrate friendship! This pack is versatile. I love that people are always smiling around Valentine’s Day! That is the cutest french kiss I have ever seen! I love this pretty paper pack! I love making fun mini albums for my friends and penpals, and making my husband a Valentine card each year. I saw The Kissing Booth collection on several videos from Creativation. I have several items on my wish list. I would love to be able to mark some of them off with this gift. Thanks Doodlebug for this opportunity. Doodle Bug always has the most adorable products! 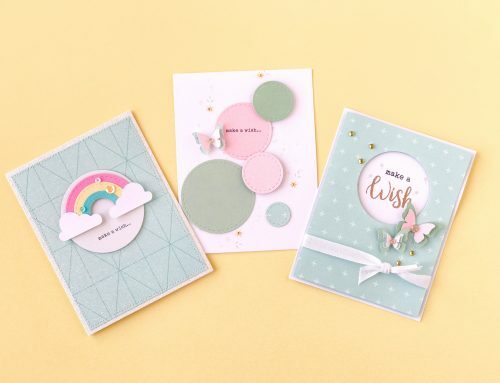 Love this new collection especially for creating cards! Thanks for the opportunity to win! Beautiful collection! Will have a galentine’s morning cardmaking! I love this set of papers and the beautiful colors. I would love to win this and would look forward to making such pretty cards with this paper. What a cute collection! I love the bright colors and patterns, they’re perfect for cards. French Kiss is adorable! Love that little French boy! 🙂 I love making my kiddos feel special on Valentine’s Day and telling my friends how much they mean to me! Cute images, colors and patterns. I think every day should be heart day! Can’t we all use more love? When I saw this French Kiss collection showcased at Creativation I admired all the pretty colors and images. So beautiful. Thanks! What a cute 6×6 paper pad! Will make cute valentines cards. I love the day after Valentines Day when chocolates are 70% off! This is such a sweet collection for Valentine’s Day! I love baking treats for the holiday and sharing with friends and family. I am in love with this collection – for sure its on my wish list!! I like best that chocolate has no calories on Valentine’s Day. What the heck is Galentine’s Day? This is a cute collection and thanks for the opportunity to win. Beautiful collection & I’ve been to Paris & have photos to scrap. I love Valentine’s Day… not just because it is a time to reflect on my marriage and loving partner but our kids, grandkids and parents. Love Doodlebug designs too. It’s a winning combination. Thanks for the chance to win a great prize! Always love Doodlebug for card making. Thanks for a chance to win. What an adorable collection! I love Doodlebug! I love making Valentine’s Day cards. When I start I cannot stop. This doodlebug collection is cuteness overload! I love that I’m single and HAPPY! I give my friends Valentines and snuggle with my puppy Maddie! I LOVE this new Doodlebug line! I subscribe to their newsletter and get a tease of it everyday! Thank you for the chance to win! I like making Valentine’s Day cards for my grandkids and husband. Thanks for another great opportunity to win! Valentines Day is the perfect time to think about and be grateful for all the special people in our lives. I love making Valentines cards and have been doing it since I was a little girl. What a sweet prize package! I love sending Valentine’s day cards as well! Fun! What a sweet and adorable collection! What I love most about Valentine’s Day is making cards for those that I love. This is so adorable. So fun and vibrant! My coworker could use this to document her Europe trip. Valentine’s Day is a challenge for me to come up with a new ideas for cards for those I love. This is such an ah.dor.able collection….make a me want to visit Paris for Valentine’s Day. Thanks for the chance to win this. Valentine’s Day is a day where people come together to show love with cards, thoughtful gifts and loving acts. All ages enjoy this day of love. 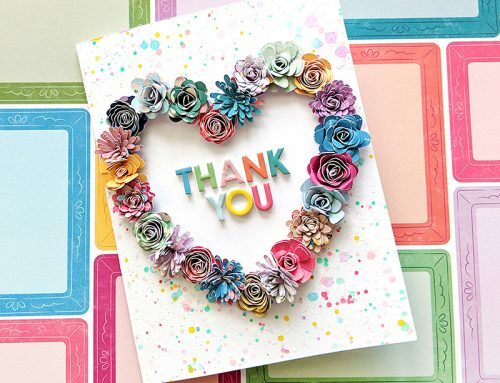 Cards, especially handcrafted cards of all kinds are so very special. How ADORABLE is this! I love the romantic sweet valentine Paris theme! I really do love Valentine’s Day as a day to celebrate the many people I love! My son, my parents, friends, and more! Happy Valentine’s Day everyone! Making valentine cards for my kids to hand out at school and of course chocolate. Always love the doodlebug designs. This one is no different. ooohhh! This is cute. I love the unexpected mix of traditional pinks and reds with navy. Oui,, oui! S’il voux plait! Tres bien! I love this set and since it s probably the closest I will ever ge Elton Paris I would love to create with it! Thank you for the chance to! Forgot to tell what I love about Valentines Day. We have a dinner with both sons, significant others and grandchildren to be together and share the love! We haven’t missed one in 30 years! I love creating Valentine’s cards and little gifts for my nieces. Gotta spread the love around! The French Kiss collection is so cute! I’m not celebrating Valentine’s day except with my grandkids. Thanks for the chance to win this cute collection. Wow! So pretty! THank you for sharing this! What a cute collection! Valentine’s Day isn’t a big deal for me but it used to be fun reading the messages people would publish in the newspaper for their girlfriend or boyfriend. Just beautiful! The Doodlebug colors are so crisp and refreshing. I just love this! Pretty paper and fresh colours! I love the chocolate candy. LOVE the bright color scheme and the adorable images. What a cute set. Thanks for the chance to win it. I love stamping up valentines for my kids to color and hand out to friends and neighbors! Oh my!!! Doodlebug Design’s products are amazing!!! The French Kiss collection is one of my faves!!! What I love most about Valentine’s Day is making a sweet card and chocolate for my fiancee. I love making Valentines to share with friends and family! Am so happy to celebrate Valentine’s day with my hubby of 27 years! 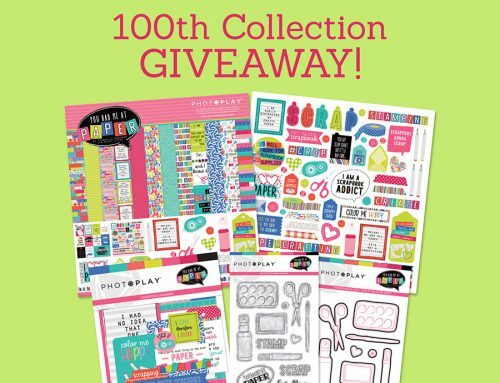 Love the color selections of this giveaway! So many cute papers and ideas! Paris, and Paris themed paper, is always a good idea! What an awesome Valentines Day collection. I love Doodlebug! What I like best about Valentines Day is making Valentines cards for my grandchildren. Thanks for the chance to win! This collection looks great for more than just Valentines Day. I would love to win some Doodlebug! I love making little Valentine cards with my kids for their friends! I just came back from Paris and think this would be the greatest paper for a layout of my phone pics, not to mention some cute cards!! Thanks for the chance to win! This is such a cute collection. I love all the colors. Thanks Doodlebug for the generous giveaway. I love spoiling my grandson on Valentine’s Day! I love that Valentines Day gives you the chance to be romantic, even if you’re not particularly romantic. I love sending a Valentine to a family member or friend who does not expect to receive one. I’ve been told that it makes their day as the day may have slipped away without anything special until the Valentine arrived. I know many people who are members of the lonely hearts club. Thank you for the generous giveaway. So cute!! Such a darling collection. I love Valentines to shower my hubby and kids with extra love that day with special cards, treat boxes, and a special “red” dinner too. We just embrace the love. When I think of Paris, I think of my son and daughter in law’s honeymoon! Cute collection! Making adorable Valentine cards or tags to spread my love. I always enjoy cinnamon hearts and a romantic dinner with my husband would be a treat. Love this & I’ve been to Paris so this would be great to scrap those photos. When our kids were home I used to love fixing an extra nice dinner with a “formal” table setting. Now I love making valentines for the grandkids. I love the extra attention … a nice meal out, flowers or anything is appreciated and I love to show love to my family members as well. I love red and pink and chocolate!!! If I could spend Valentine’s Day in Paris, it would be perfect! Love Doodlebug, wish I could work for this fabulous company with the cutest, eye-catching ads ever. Being married for more than 50 years, love never gets old. Valentine’s day reminds me to spread the love which I always surprise him with his favourite chocolate truffles. This is such an adorable collection! Chocolate! That’s what I love about V Day. It gives me an excuse to indulge in my favourite chocolates. Doodlebug is adorable, as always! I love that Valentine’s Day reminds us to think about our loved ones. Valentine’s Day is make my husband get me a card and write something sweet (in his own way). My favorite thing about Valentine’s day is making a card for my husband. Valentines Day is my birthday and this year I’m turning 40! Very excited to see what this year brings. I love Doodlebug and have a bad habit of hoarding the Doodle Pops. What I love most about Valentine’s Day … the e card I get from hubby. Doesn’t sound romantic, I know, but coming from someone who isn’t all that romantic and writes from the heart in the card. It makes my day! Love this collection by the way! Ohhhhh Diodlebug is my all time favorite and this Valentine collection is simple too darn cute ! I would love to own this ! Thank you for the opportunity! Happy Valentines Day to all the SCT staff! This certainly is a cute collection! I love Valentine’s Day for lots of reasons… pink and red, crafting valentine cards, giving people I love gifts and handmade cards and I love how I am reminded how thankful I am for those people when I wrote in those cards! So cute! I’m ALL about the candy on Valentine’s Day! I love that there is a day dedicated to be extra kind to the one’s you love, in this bizzy life there is not much time for spending with them so it realy is important not to forget those people you hold dear. (the memories you then make will then be kept in your scrapbooks ;-)) Love the collection! Would love to win! Chocolate giving and receiving is my favourite part of Valentine’s Day. I enjoy making cards too. 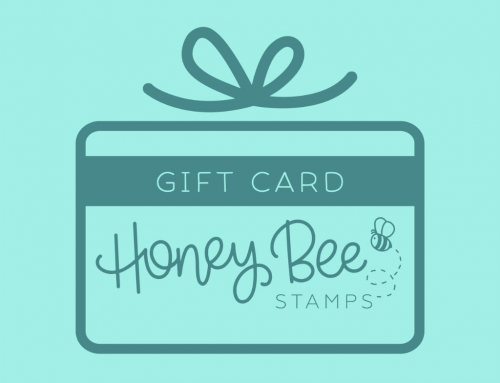 This prize from Doodlebug would be wonderful. Thanks for the chance to win! Valentine’s is a great opportunity to celebrate relationships. I love this line. It would be the perfect addition to my Paris album! ❤️❤️❤️ LOVE this sweet Doodlebug collection! Absolutely darling! Y’all’s creativity is amazing – the colors and the SO CUTE French couple! 😘😘 Valentine’s Day is a special time to let everyone know how much we cherish having them in our life. It does a ❤️ good! Love all things Doodlebug including this collection. And I love finding sweet treats to give to my kiddos and hubby…and of course sweet treats to eat too! I love Doodlebug designs and the colors red, pink and all hearts. I am also part French so Ooo la la! Thanks for the chance to win! Such a cute line! Thanks for the giveaway. Happy Valentine’s Day SCT!! Who wouldn’t want this collection? it has all the Doodlebug cuteness and a fresh color palette. Thanks for the chance! LOVE French Kiss!!! My Mother and I shared a love of anything French. This set is fabulous!! So very cute!!! Doodlebug has a way of creating really cute collections that are not juvenile – very versatile!